Advanced Handling: Continuing to build agility skills for those recently graduated from Intermediate and for TAG members wanting to improve handling skills. Skills building at this level can include distance work, strategizing for specific games and tricks to earning qualifying scores at competitions. Robert Stewart teaches Monday evenings,Tuesday and Thursday mornings, Kate Bird Tuesday evening and Kim and Judy Bradley Wednesday evenings. Masters Handling: Named for the highest level of competition for USDAA (but skills taught aren't limited to USDAA only! 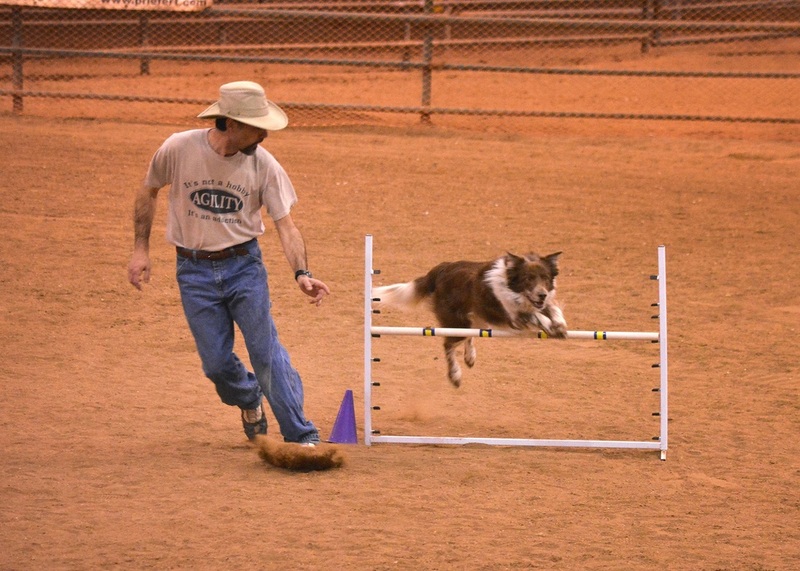 ), students who qualify for this class will be learning nuances to running complicated courses with their dogs and refining their skills. It includes paying attention to your body language and how your dog interprets this and strategies for advancing in complicated games and team events. Insight is given to competing at national events. Robert Stewart teaches this class Monday evenings. Those competing in several venues (ie, USDAA, AKC and NADAC) will tell you that NADAC competitions are quite different from all the rest. NADAC competitions hold a very special place in the heart of Desiree Pratt. She has been competing at the highest level in this venue for many years with a wide variety of dogs. Desiree has traveresed many a mile to attend national NADAC competitions and has rare insight into how to succeed at the various games offered by NADAC, from Hoopers, to Chances and all the strategies those games entail.